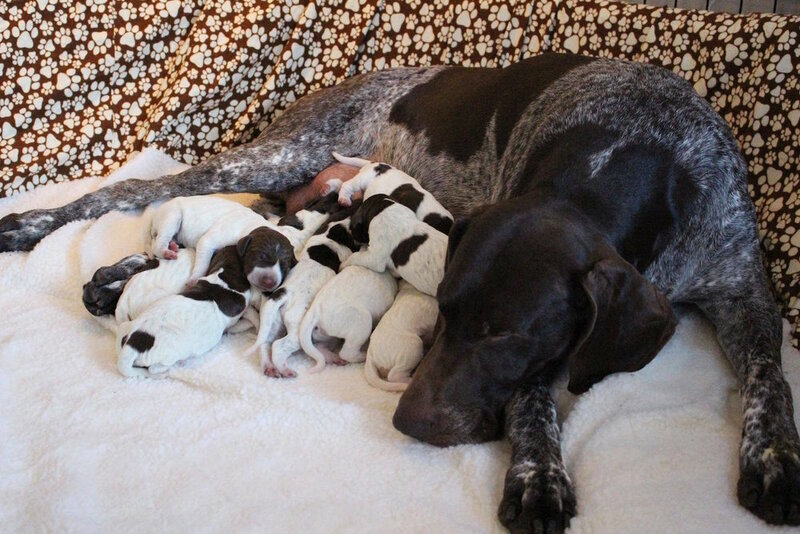 Ranger and Stevie are the proud parents of nine adorable puppies. 5 boys and 4 girls. All are doing well, as is Momma Stevie. We're very excited for these little ones.